Wicklow’s Under 10s and Under 11s played their first matches of the new season on Sunday September 17. The Under 10s travelled to Greystones RFC while the Under 11s travelled further up the N11 to Foxrock where they took on St Brigid’s. 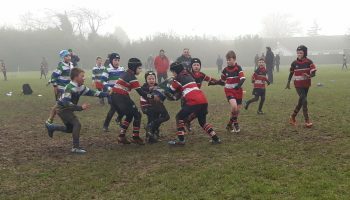 The Under 10s had four very competitive matches against tough opposition in Greystones. 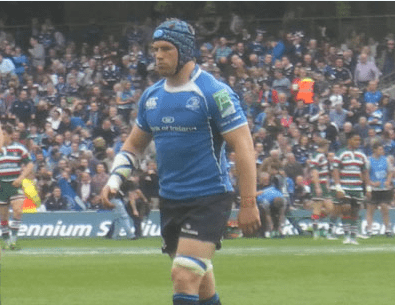 In perfect rugby conditions the Wicklow lads shone and showed that their tackling, rucking and passing skills had not faded over the summer break. 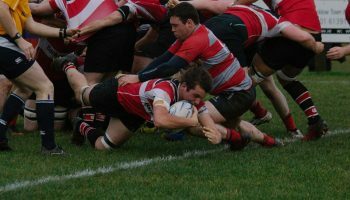 They were delighted to be back in action and there were plenty of tries from all sides to keep the spectators entertained. They are already looking forward to a return fixture during what looks like an exciting and busy season ahead. The Under 11s made the trip to St Brigid’s for a game aimed at enabling both sets of players and coaches to try out their new rules. The sun made a breakthrough in time for kick-off and some excellent contests followed. There were great displays of passing and tackling which were very encouraging given it was a first outing. The lads came under pressure at times during the matches but responded well and took the game to their opponents generating some fine team tries. All players gave spirited performances and a number of new members made their debuts. 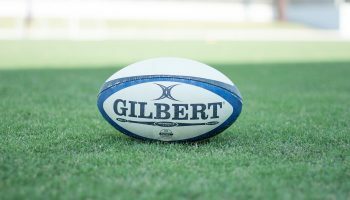 Minis rugby continues every Thursday at 6.15pm (Under 10s to 12s) and Sundays at 11am (all Minis). New members are very welcome.